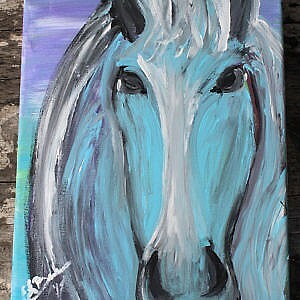 8 x 10 acrylic on canvas. 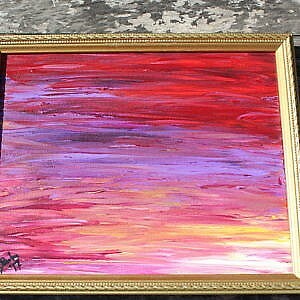 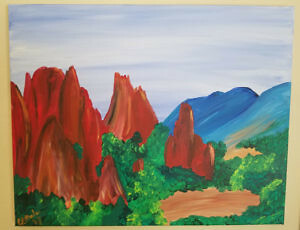 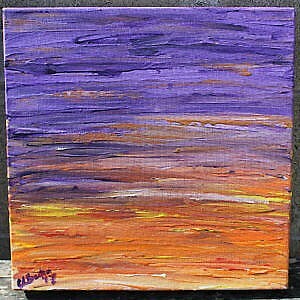 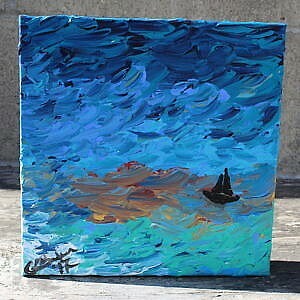 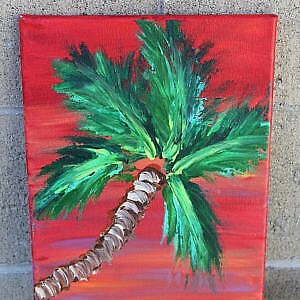 This is an original painting done with a palette knife. 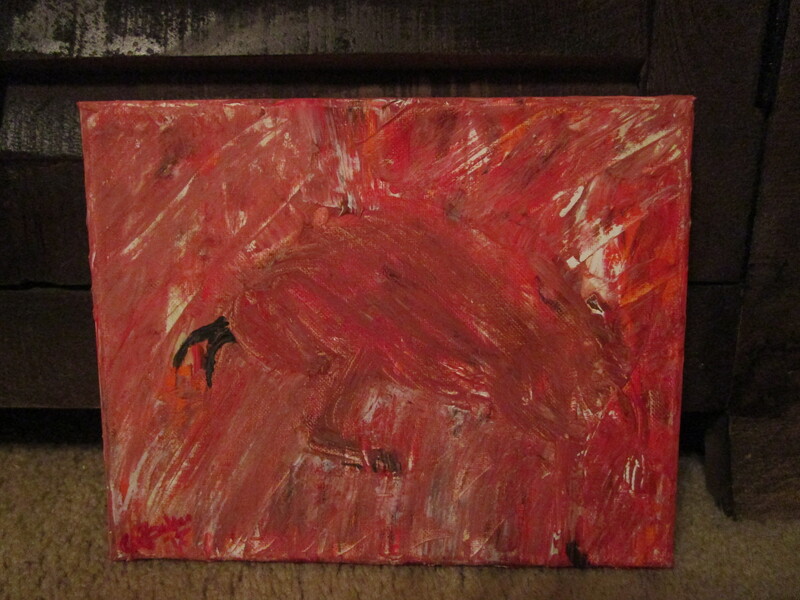 A red, abstract bull barely shows on the background as he leaps up into the air.